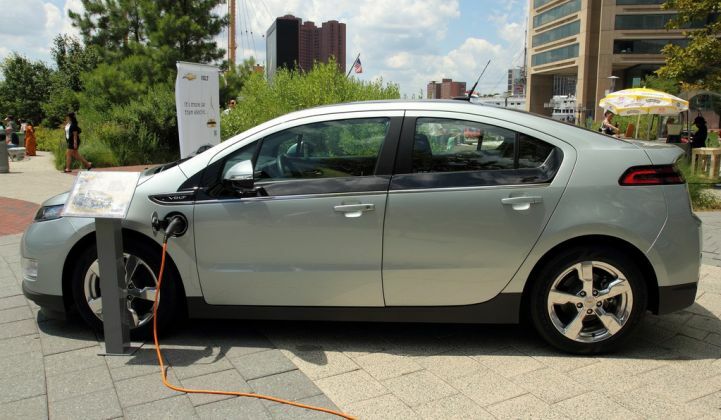 General Motors wants developers to program plug-in Volts for the smart grid. We’ve had a rash of smart grid-to-plug-in car mashups so far this year, including Ford’s new mobile app for its upcoming Fusion PHEVs, and BMW picking Tendril for an EV-home charging demo. On Thursday, General Motors jumped in with a call to developers to use its plug-in hybrid Chevy Volt as a smart grid asset. GM’s OnStar service has opened up the application programming interfaces (APIs) to demand response, time-of-use rates, charging data exchange and “aggregated services” like charging spot locations that it is building into all new Volt models. Not that GM is going to open its platform to just anyone. The OnStar-utility integration work has been going on since last summer, when GM announced pilot projects with utilities including Duke, Progress and Motown’s own DTE Energy. GM didn’t name any developer partners in Thursday’s announcement, though it did note that selected developers were getting access to a proprietary API for mobile applications -- something it and all its other plug-in rivals, notably the Nissan Leaf, have been working on for years as well. GM does have a long list of partners on its connected car vision, including Tendril for home energy controllers, Comverge for demand response, Google for mobile mapping apps, and most recently, General Electric. GE’s new demand response platform on display at DistribuTECH last week included a nearby Chevy Volt as one of the loads it could power down and up remotely. GM intends to name three or four more utility partners in the coming year, Paul Pebbles, GM’s OnStar and Volt chief, said in a Thursday interview. 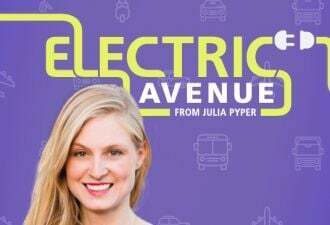 While consumer apps are possible, the APIs are really meant for utilities and energy companies to make plug-in cars an asset, rather than a liability, he noted. Nissan has also been busy hooking its all-electric Leaf sedans to mobile and plug-in communications via partnerships with AT&T, GE and others. Of course, GM has sold fewer than 10,000 Volts so far, and Nissan has sold about 17,000 Leafs worldwide -- hardly a dent on the grid’s capacity. While certain neighborhoods (say, Berkeley, Calif.) may start to feel the grid impacts of too many plug-in cars earlier than most, it’s a problem utilities can solve by upsizing neighborhood transformers for now. Eventually, however, plug-in cars could present huge challenges to the grid, simply because they’re more power-hungry than any other new technology out there. Adding the half-a-home power draw of a typical PHEV to even a few garages per block will require upgrading distribution grids to manage the unexpected demand, for example. But the chief concern is not where, but when those plug-ins charge. Plug too many in during hot summer afternoons, and they’ll crash the grid or require massive new peak generation to handle. 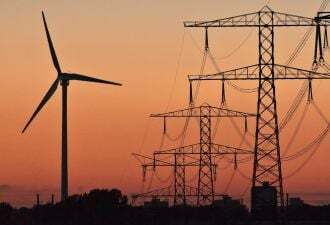 Plug them in at night, on the other hand, and they can capture cheap off-peak power, as well as wind turbines’ nightly surplus, which saves money for customers and utilities both. That’s a fairly simple thing to program into cars or charging stations, and will likely be among the first applications beyond straight metering that utilities will provide. Pacific Gas & Electric has been testing out basic remote on-off switching in fleet vehicles with Silver Spring Networks and car chargers from Clipper Creek and Coulomb Technologies. In Austin, Texas, the Pecan Street Project is trying to tie 100 plug-in Volts to smart grid and rooftop solar systems to balance one neighborhood’s power grid. On a broader scale, NRG Energy is deploying its eVgo public car charger network in Texas with the promise of linking them to so-called vehicle-to-grid (V2G) networks, though that capability is only being piloted with fleet vehicles right now. OnStar’s expertise in linking its mobile assets -- i.e., its cars -- will be a big selling point. Volt drivers may leave one utility’s territory in the morning and charge in another’s all day. Even predicting exactly how many will be plugged in at any given time is a tough equation, though mobile tracking could make this much easier. As for actually tapping car batteries for power, that’s a trickier proposition, since it can open up batteries to faster degradation, harming both car owners and battery/vehicle manufacturers in terms of warranty costs. Japan has made an aggressive push into V2G, partly in response to its power crisis in the wake of the Fukushima nuclear plant disaster. But most industry observers agree that a lighter-touch V2G method that shifts rates of charging, rather than actually tapping the car’s reserve, is a better way to go. Fleet vehicles are another big market. General Electric said last year that it would buy roughly 25,000 electric cars to green its fleet, with the Volt first on its shopping list. It appears that deal may be delayed, however, according to a recent news report.